Samsung is inviting everyone over for an in-depth look at its adorable spherical Gear 360 camera. The gadget's inner workings definitely look the part for a device that's powerful enough to quite literally capture a moment from every angle. To provide an entertaining glimpse at its invention, Samsung disassembled it in nine pieces, marked them, numbered them, and laid them out diagonally. The Gear 360's case is comprised of front and back halves. The front houses most of the components, which we'll get to later. Resistant to dust and water splashes and designed to remain portable while supporting your freedom of movement, the camera remains small enough to be carried in one hand. The rear half contains the rear bracket, which lets users switch modes between video, still images, 180 degrees and the full 360 degress. It also houses the microphone, speaker, and the tripod mount (which also takes in other third-party accessories). For the Gear 360's lens, Samsung brought out the "industry's first" circular tempered glass cover. This means the lens itself is built out of the same stuff that premium screen protectors are made of. And on the side of the front bracket, there's a 0.5-inch plastic OLED display to provide visual feedback. 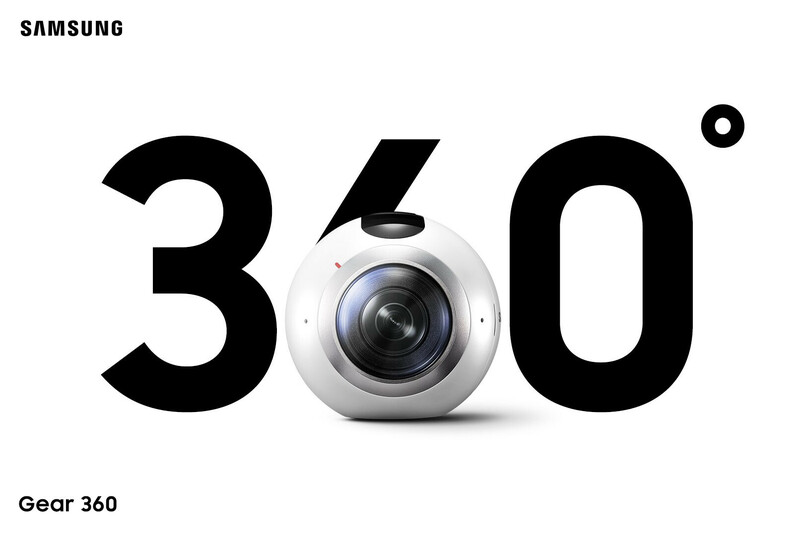 To gain adequate imaging power, the Gear 360 has been outfitted with two 15MP camera sensors equipped with fish-eye lenses. They capture 195-degree video each, which gets stitched together into 360-degree content via software. There are also accelerometer and gyroscope sensors to precisely adjust the cameras' movements. Another interesting bit of hardware in it is the mainboard, which houses the CPU and one-off DRIMe5s image processor. The latter is only found inside the Gear 360, but we imagine Samsung is/will bring similar capabilities to its high-end smartphones. Finally, the battery chamber is home to a 1350mAh battery, which is supposed to be good for up to 140 minutes of uninterrupted video recording. The Gear 360 launched at the end of April, priced at $350 in the U.S. Does anyone around here own the adorable spherical critter? Mar 02, 2016, 7:39 AM, by Victor H.
Feb 21, 2016, 12:18 PM, by Luis D.
A very sophisticated piece of hardware. The videos I have seen so far look great. I saw a few where the stitching was more obvious, so not sure why it had some issues. But most were clean and you can't tell its multiple camera stitched together. Amazing how they packed all that into such a small space.